The bottom has been painted black since these photos were taken - antifouling bottom paint - because it was moored in Lake Michigan for the last few years. Includes trailer. 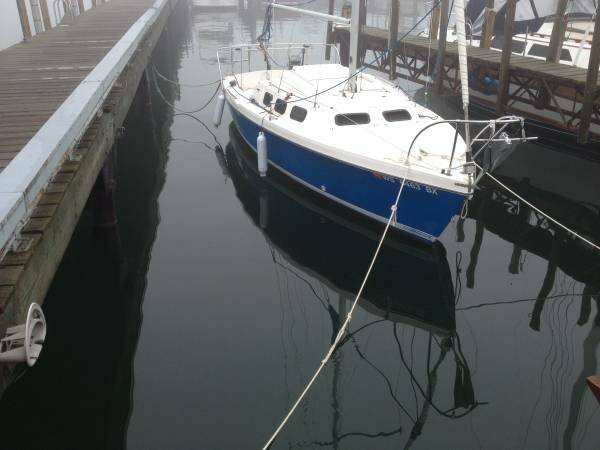 Includes a Tohatsu long-shaft outboard, new in 2016 with fewer than 20 hours on it. 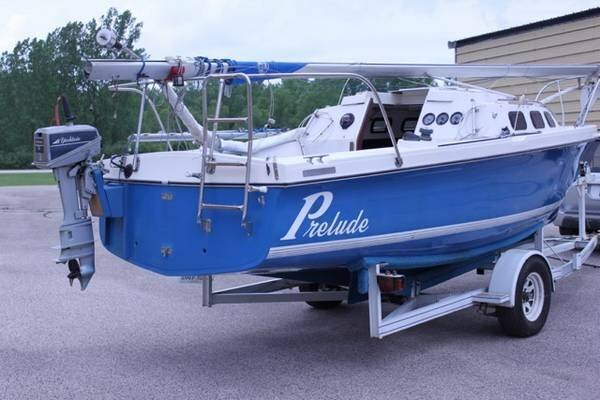 It is a 4-stroke, 6 horsepower outboard, and is in excellent, like new, condition. The Tohatsu is not pictured in these photos, which depict a previous outboard. 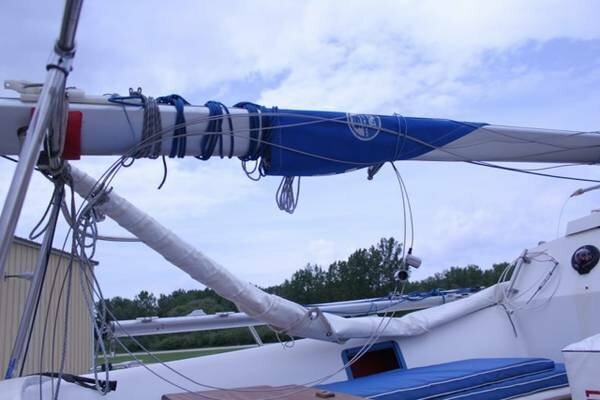 Includes 2 mainsails and 2 jibs. 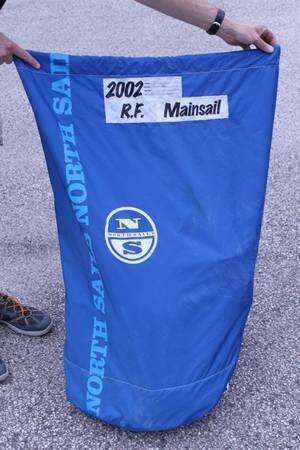 In mast furling for main and roller furling for the jib. 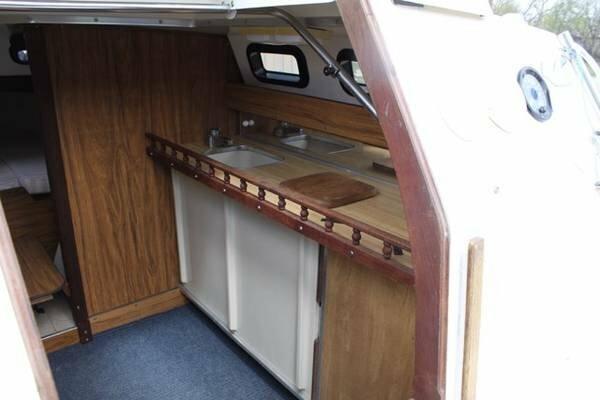 Includes cockpit cushions as well as cushions for the interior. Marine head. Icebox and propane stove. Also includes safety equipment like airhorn, flares and life jackets. Easily trailerable. 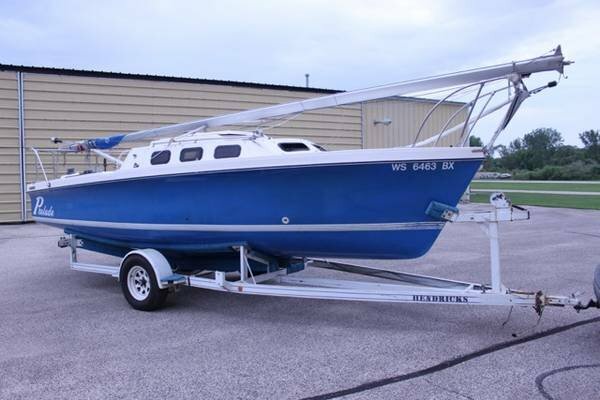 Previous owner trailed it all over Wisconsin, including to Door County, for weekend sails. 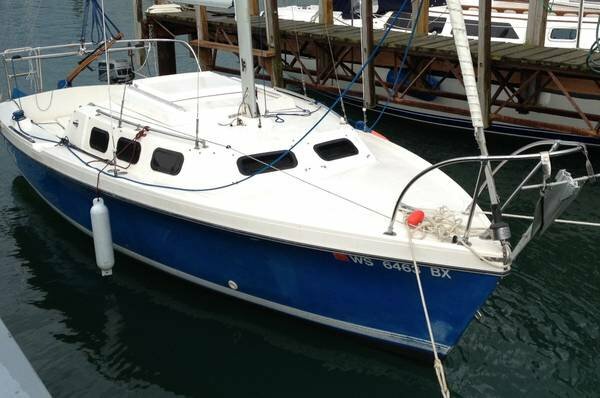 I have had it at South Shore Yacht Club in Milwaukee since I bought it in 2015. 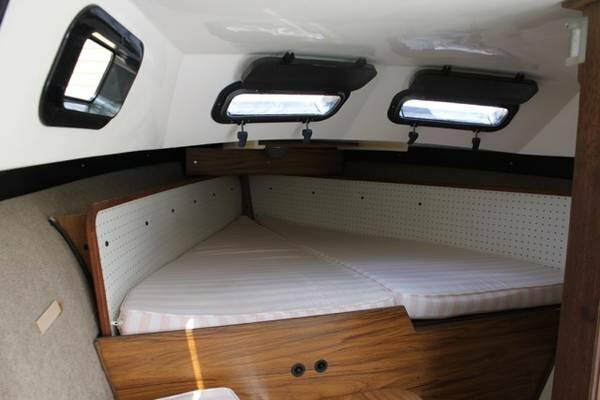 Hate to sell it but my wife has knee issues and can no longer get on and off the boat. 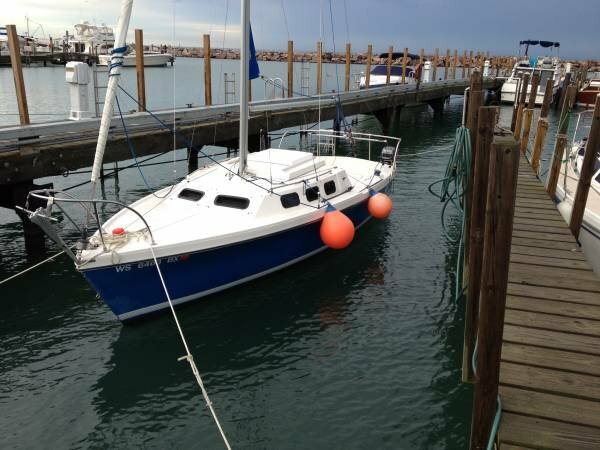 This is a reasonable price for a boat of this type in this condition. You can check out information about Rhodes 22 online. 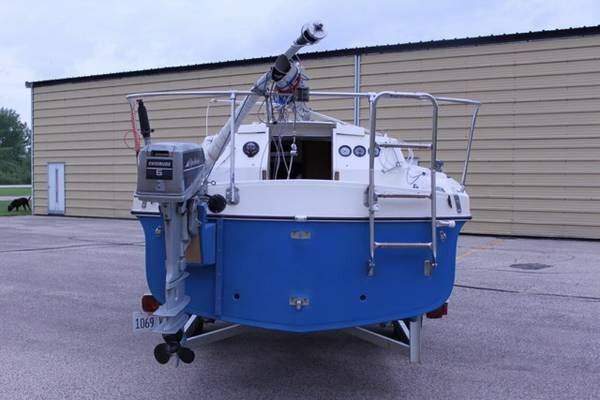 Very popular boat with many innovative features.